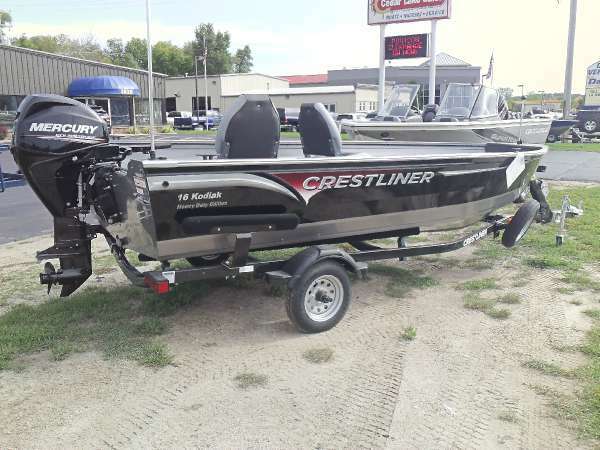 2015 Crestliner 16 Kodiak This boat model may or may not be in-stock. Please contact your local, authorized dealer for more information. Trusted by fishing lodges and serious anglers, Kodiak deep-V fishing boats get the job done with rock-solid reliability and performance. This lineup takes you to the frontier and back, safe and sound. 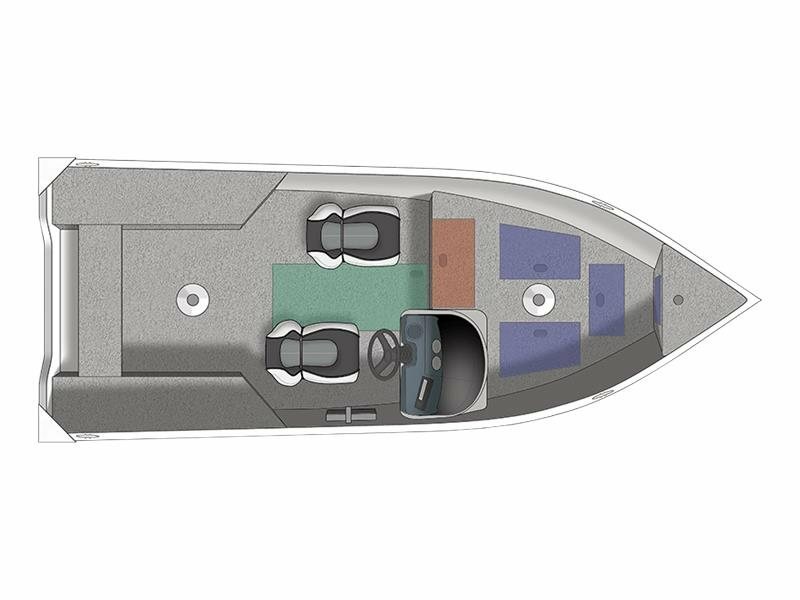 And with six total size and configuration options, the Kodiak line runs deep. 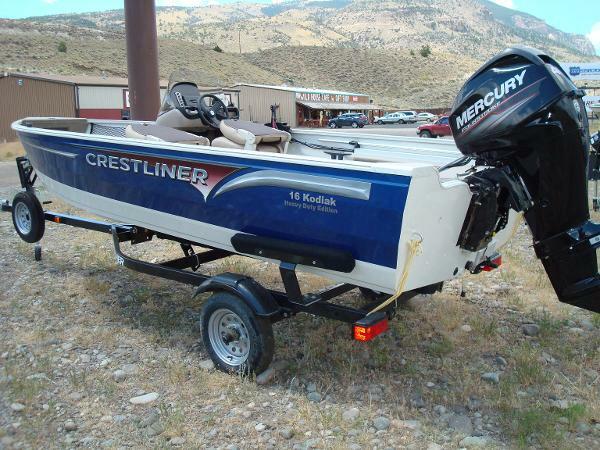 2010 Crestliner 16 Kodiak This boat model may or may not be in-stock. Please contact your local, authorized dealer for more information.Trusted by fishing lodges and serious anglers, Kodiak deep-V fishing boats get the job done with rock-solid reliability and performance. This lineup takes you to the frontier and back, safe and sound. And with six total size and configuration options, the Kodiak line runs deep. 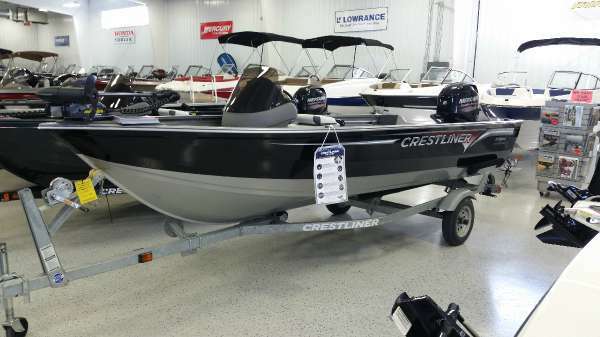 2013 Crestliner 16 Kodiak This boat model may or may not be in-stock. Please contact your local, authorized dealer for more information.Trusted by fishing lodges and serious anglers, Kodiak deep-V fishing boats get the job done with rock-solid reliability and performance. This lineup takes you to the frontier and back, safe and sound. And with six total size and configuration options, the Kodiak line runs deep. 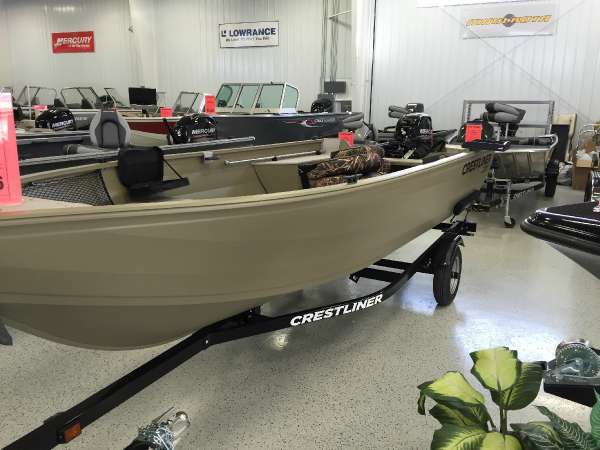 2015 Crestliner 16 Kodiak This boat model may or may not be in-stock. Please contact your local, authorized dealer for more information.Trusted by fishing lodges and serious anglers, Kodiak deep-V fishing boats get the job done with rock-solid reliability and performance. This lineup takes you to the frontier and back, safe and sound. And with six total size and configuration options, the Kodiak line runs deep. 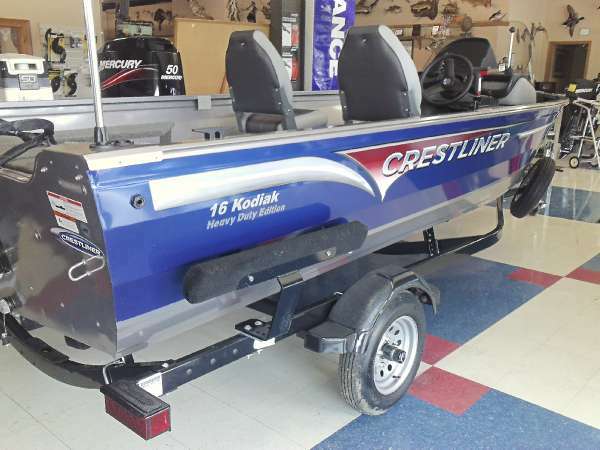 2015 Crestliner 16 Kodiak SC Cast your legacy with the Kodiak from Crestliner. From bow to stern, you’ll find practical and functional features to help you make the most out of every fishing day. And because this boats is forged with an ultra-rugged 0.100 inch gauge aluminum deep-V hull, nothing can stop you from commanding the water to your will. 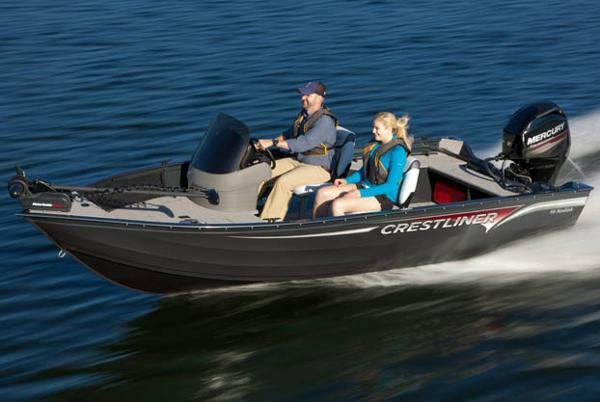 Begin every great journey with confidence in the Kodiak series from Crestliner. 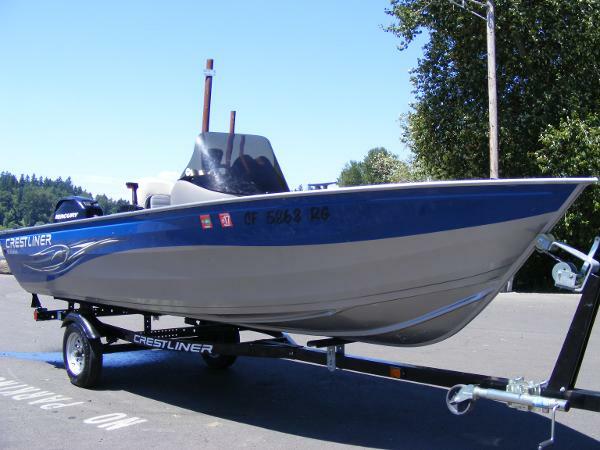 THIS BOAT INCLUDES: CUSTOM VINYL COVER, VINYL COCKPIT FLOOR, TROLLING MOTOR PLUG AND HARNESS AND MORE! - IN THE ULTRA RUGGED KODIAK...NOTHING CAN STOP YOU!